Blogging is a lot of like chess: you must think one move ahead, or risk being outwitted by the competition. Quipist immediately brought positive results: it led to increased traffic and page views. And so, being the sharing type, I decided to reveal how others might use the site to their benefit. Before signing up for Quipist, I did some Google sleuthing to see how it might benefit my blogging strategy. There wasn’t much information available, given how new the platform was. This was a good thing: It meant most bloggers weren’t taking advantage of the social media platform. It also meant this was an opportunity to get ahead of a new trend. I wanted to experiment to see if maybe – just maybe – Quipist was worth using on a regular basis. First, here’s a breakdown of how the site works. Users can customize profiles in numerous ways. They can use real names or pseudonyms, and personalize accounts with bios and avatars. Privacy settings can be adjusted and friend lists can be hidden. Users can contribute content in four ways: through text, links, video and images. Users can interact in five ways: by sharing content, commenting on it, liking it, disliking it or declaring neutrality. The more interaction a post receives, the higher it climbs Quipist’s feed. This means that the more interaction a post receives, the more likely it is to lead to increased blog traffic. On the flip side, Quipstream feature allows users to read all their social media feeds on one screen. It lets users browse Facebok, LinkedIn, Tumbler, Instagram, Google+ and Reddit feeds on one feed. That saves time, too. Get a proxy account (remember, they’re free) and start a niche in order to connect with fellow users. Meanwhile, follow proxies and accounts related to your blog’s niche.Think of proxies as themed niches. Look for your proxy tribes, and join them. You can have multiple proxies through subaccounts. Increase your Quipist rank and become more visible. New users are unlimited how much, and how often, they can submit content. Take advantage of this perk while it lasts. It can help improve your Quipist rank, which is a point system that rewards users for submitting interesting content.Every time a user interacts with your post, it gives you points. The more points, the better. Don’t overdo it with the self-promotions; it might get you banned. Quipist isn’t banning accounts yet, like any good social media platform, they’ll likely clamp down on spammers in time.Quality, diverse content gets you further with Quipist. Be social and interactive. Reply to comments, react to posts and contribute to the dialogue of other users’ posts. Hug: What you send to someone when you don’t want to necessarily ‘like’ someone’s post, but yet you want to show them support with empathy. Proxer: A Proxer is someone who is allowing a Proxy to act on their behalf on Quipist. Proxy: A Proxy is someone with a Proxy account, and who has Proxers (proxy followers). When a Proxy makes certain choices on Quipist (such as making a Qpinion), those choices cascade onto their Proxer’s accounts as well. It is reversible by the Proxer for every single item, and may be revoked entirely by the Proxer at any time. Proxy account: A proxy account allows someone to act as a proxy. Vet: To give proof/evidence, in the form of links, that something is true or false. Vex: When something ‘controversial’ has been shared. For example, someone may post a video of an unknown person engaging in animal cruelty and you, of course do not want to like it, yet you want to show support against such cruelty or assist in identifying the perpetrator by spreading the word. This is one of many ways vexed can be used. We welcome feedback on this feature. What’s your Q? – What are you passionate about? 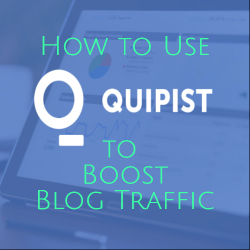 Then, sit back and enjoy the extra little bit of traffic to your blog from Quipist. And who knows, maybe your content will go viral via Quipist. 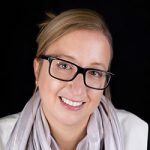 Thanks for sharing about Quipist. This is my first time of hearing about it. And from your review, I think it’s something worth trying out as long as it will help to increase my blog traffic. I really need to double my traffic and anything I can do to get that result is worth doing.